Have a seat. Tell me your thoughts. I’m listening. 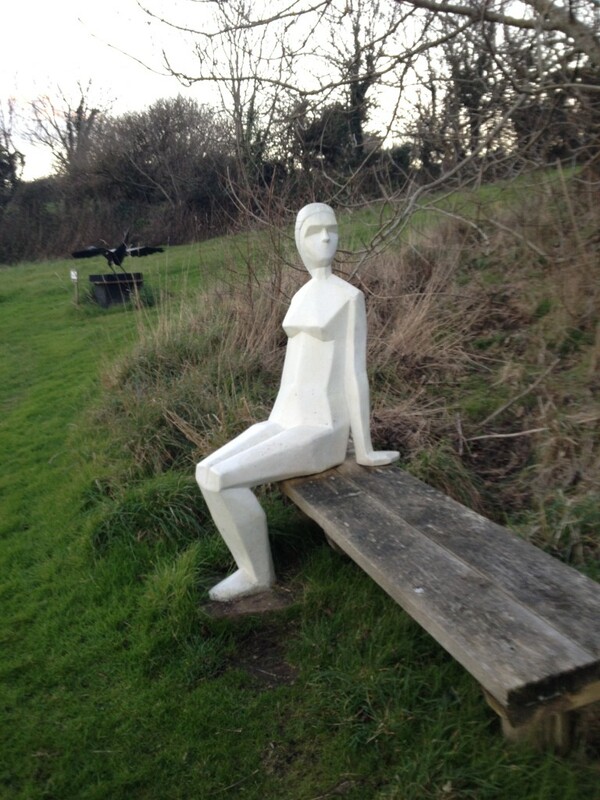 This placid lady in Cornwall seems to be indicating just this. Her posture reads as confidant and mostly casual (with a touch of proper at the knees). But there’s no need to prove that. She just is. And she’s open to listen. To be a receptacle for whatever it is in that moment that I need to speak forth. This lady is who I aspire to be much of the time. Someone who has no need to prove who she is and who can be open to receive whatever needs to be spoken. To be a ready ear of support without needing to necessarily “fix.” I hope this lady continues to guide me as I sometimes do and sometimes don’t hit that mark. And I hope the raven over her shoulder enjoys the flight about to happen.